Mark Seiden, of the Mark Seiden Real Estate Team, shares how he and his team use ePropertySites as part of their comprehensive marketing strategy. Mark and his team have taken an impressively modern approach to their listing presentations. Rather than going to the seller's home, their presentation is conducted in-house, in front of a 46" screen in the conference room of their office. During the presentation, Mark explains his well-honed Home Marketing Plan, a marketing strategy that offers sellers an array of tools hand-picked by Mark and his team. Using real-life examples of homes Mark has listed in the past, sellers are shown how Mark creates an ePropertySites-powered single property website for each listing, and integrates the website into property flyers, yard signage, and even 12x12" magnets that his sellers can place on their cars. Mark feels that ePropertySites' biggest draw is how easily the system can be integrated into an already established marketing strategy. In Mark's opinion, every listing should have a single property website, and for his team, ePropertySites fits the bill. 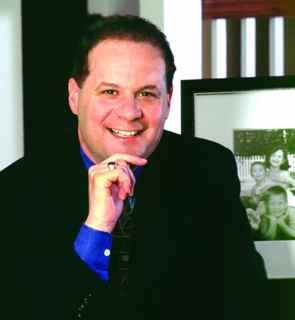 With 19 years in the business, Mark is no stranger to online marketing tools for real estate. In fact, when his team decided to include a single property website in their Home Marketing Plan a little over a year ago, Mark almost dismissed ePropertySites because the system was so affordable. He was concerned that ePropertySites couldn't compete with other, more expensive online offerings, but after researching his options he was convinced. Mark says that ePropertySites is kind of like the Home Depot of real estate. You're not always going to need everything in the store each time you go in, but you're sure to find whatever it is you do need.